"With respect to my litigation practice, I have been using Gallant Computer Investigative Services, LLC, for the mapping of cell phone/cell tower records for more than two years. In the cases I handle where the location and/or use or non-use of a party’s or witness’ cell phone is of critical importance; this service is invaluable. The mapping services provided by GCIS assists me greatly in the taking of critical depositions and obtaining favorable settlements and/or outcomes for my clients. I highly recommend this service provided by GCIS in any case wherein use of cell phone records can assist in narrowing down critical facts pertaining to a cell phone’s location when phone calls, texts or data usage are initiated." "David and I have worked together over the past several years. David’s swift response to my phone call, thoroughness of his work and superb testimony allowed me to provide the information to the Court to clear my client of the allegations made by his ex-wife. David’s level of professionalism and his ability to explain complex issues involving computer forensics makes him one to the best in his field." "I have worked extensively with David Gallant on numerous cases and have found him to be the most knowledgeable computer expert I have encountered. Dave is the consummate professional, and makes an outstanding witness, when called upon to testify. He is thorough, extraordinarily competent, and will not hesitate to lead you in the proper direction to make sure you are adequately addressing all necessary issues to help prepare your case. Dave will not act as a 'cheerleader,' but will always give you an objective evaluation of the computer forensics and how they effect the case. As a result, I have found that his opinion is well respected among all law enforcement and prosecution agencies." "Not only was David knowledgeable and professional, he worked around the clock to meet my deadlines and made every effort to ensure that I understood the process and the results. His understanding of the legal system allowed for informed discussions regarding the implications and strength of the evidence uncovered during his investigation. 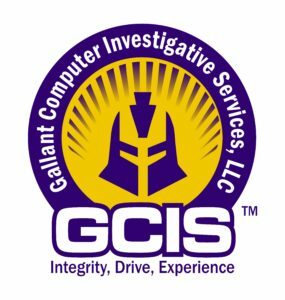 I would definitely recommend GCIS to anyone with complex or sensitive computer forensic needs. David taught me how the Internet works." Walsh, Anderson, Brown, Aldridge & Gallegos, P.C. "I turn to David Gallant whenever I need computer forensic services or need guidance in complex investigations that involve computers. I can count on him to respond to my needs in a timely and thorough manner. His experience as a retired federal agent, coupled with his in-depth computer crime knowledge, makes him uniquely qualified for any investigation or legal matter that involves computers." I used the Data Recovery Services of Gallant Computer Investigative Services to restore precious, irreplaceable work and personal files that I have created over the years when my hard drive failed. David was able to recover ALL my files after I thought they were lost forever. If you ever need data recovered, you can trust David and his staff to make every effort to save your bacon!